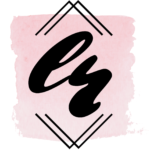 This post may contain affiliate links, meaning our site makes a small commission based off of resulting sales; see more information at the end of this post. Ever since I stopped biting my nails, I have been obsessed with gel manicures (also known as a Shellac). They differ from regular nail polish in that, after being “cured” under a UV or LED lamp, the gel hardens. This extra drying process provides intensely-smooth shine and up to two weeks of flawless coverage – without any chips! 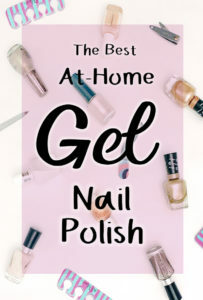 However, one of the downsides to a gel nail polish manicure is that they typically cost quite a bit more money than traditional manicures. You can purchase at-home curing lamps to mimic a gel manicure away from the salon, but even that will cost you. My wallet says: “Ouch.” So, what’s a girl to do? 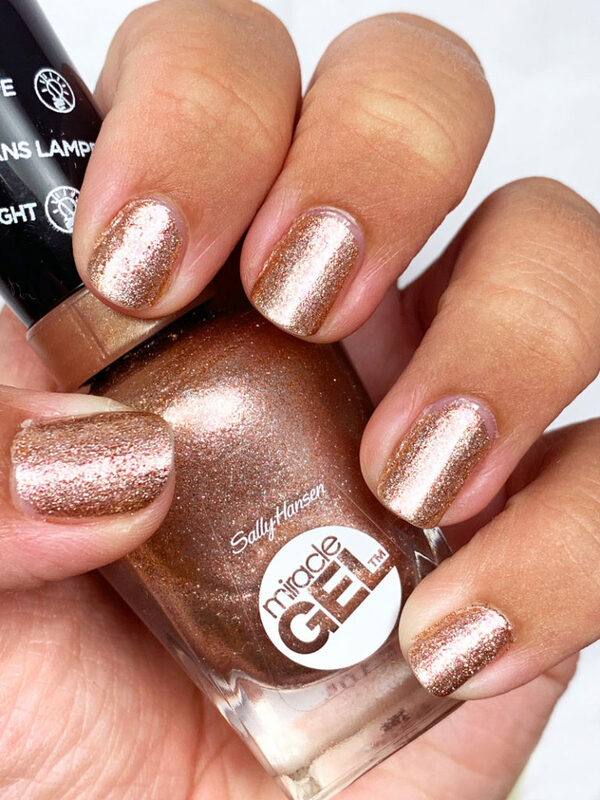 Well, thankfully, polish-creators everywhere have hopped on board the gel nail polish trend, and have begun to sell no-lamp-necessary gel polish in local drugstores. These gel nail polishes claim to offer the same gel attributes mentioned above, without any UV/LED-exposure needed. So, is this finally an attainable solution to having budget gel nails, or just a clever marketing ploy by big-name manufacturers? Today, I bring the answer to you! 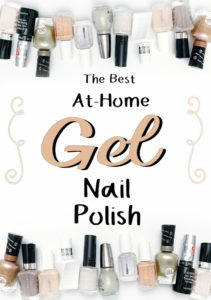 I’ve tried out four of the most common brands of “no-lamp” gel nail polish to give you the overview on shine, cracks, chips, and durability. Read on for the most comprehensive testing and day-by-day comparison of each polish! Additional Info: this matte get-top coat was just released – so fun! First, on the hot seat, we have Sally Hansen Miracle Gel . . . I really love the application of this polish, starting with the brush! It has a wide, flat tip, which helps coat your nail more easily. However, after a few days (usually towards four or five), this polish always seems to crack on the surface; remember the fad with crackle nail polish that actually separated to show a pop of color underneath? Yeah, similar to that, but on a smaller scale. It is hard to photograph, and not extremely noticeable unless you are inspecting your nails near your face, but I do think it dulls the shine a bit. Overall, this polish is a good purchase for the money, especially if you find a color you like; it lasts about 6 days before noticeable cracking or chipping. I give it three out of five stars and own multiple shades! You can find my favorite, Terra Coppa, here. 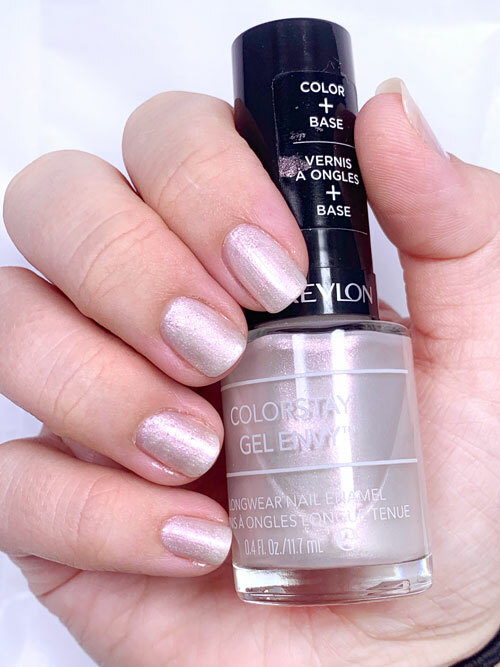 Next Up To Bat: Revlon Colorstay Gel Envy . . .
Out of all the at-home gel nail polish that I’ve tried, sadly, this is my least favorite. I was excited to try the color, however, as with many light shades, it needed three heavy coats before it was almost opaque. This wouldn’t have necessarily been a total turn-off if the polish had resembled a gel at all; even at the time of application, the thin, runny polish felt as if I had just used an average ‘ol nail polish. 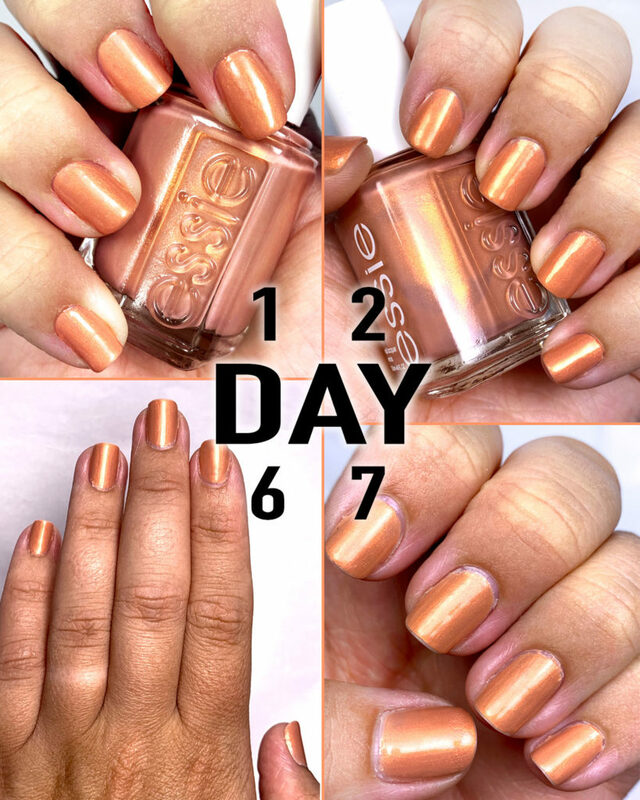 By day five I had noticeable chips on both hands, and as day six rolled around I really just wanted to use some polish remover and be done with it! I give this polish two out of five stars. Third Contestant of the Night: Essie Gel-Setter Top Coat . 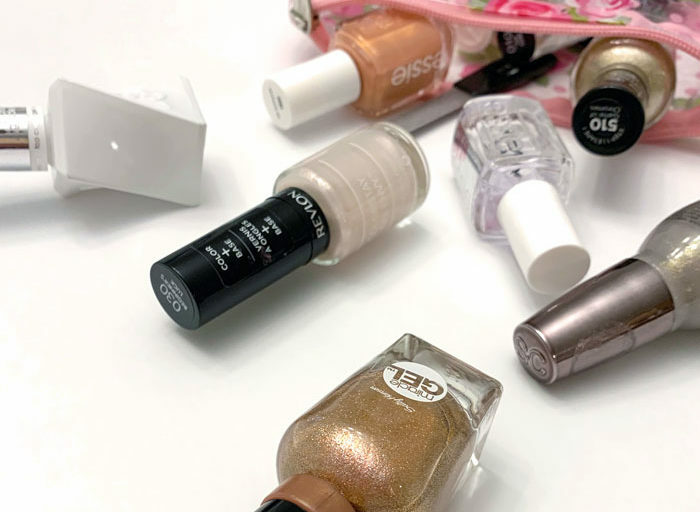 . .
Essie’s Gel Setter Top Coat has a phenomenal consistency and formula; it feels a little thicker, to give a nice, smooth shine, but not so thick that application is awkward or crackle-y. 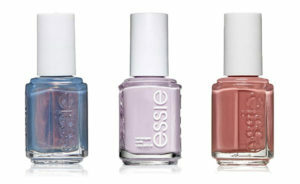 Plus, I just LOVE the fact that you can apply it over any other Essie shade that you may own or wish to purchase! 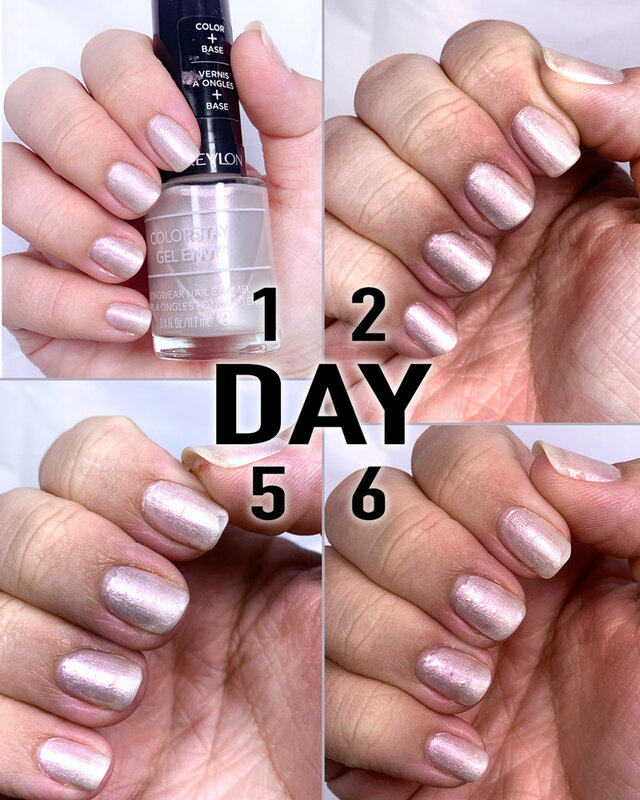 This top-coat prevented any chipping or cracking for an ENTIRE WEEK, and is very wearable for up to TWO weeks (at that point, my nails had grown out so I removed the polish and reapplied.) 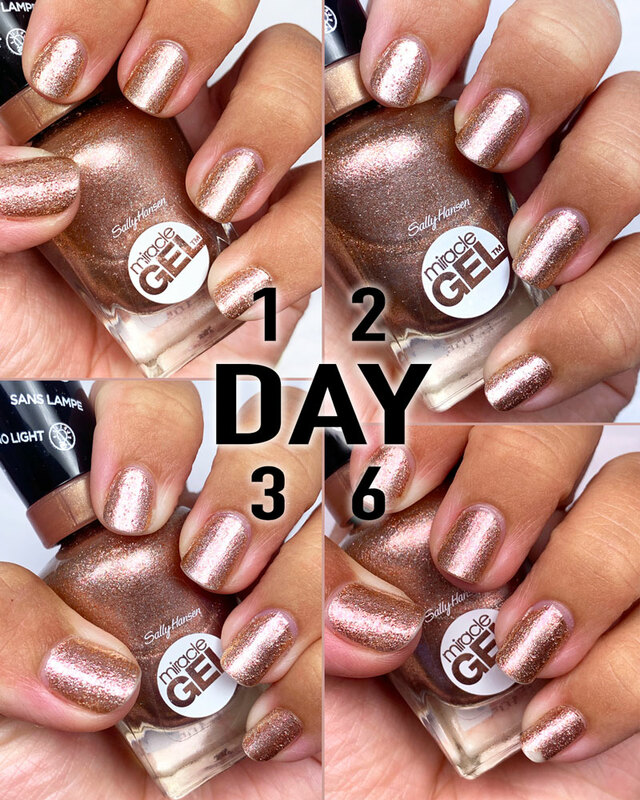 In the photo below, you can see subtle dulling on day seven, but, otherwise, a perfect gel-like manicure! I give this top coat five out of five stars! You can purchase it here from Amazon for not much more than a normal bottle of polish! Last But Not Least, Essie Gel Couture . 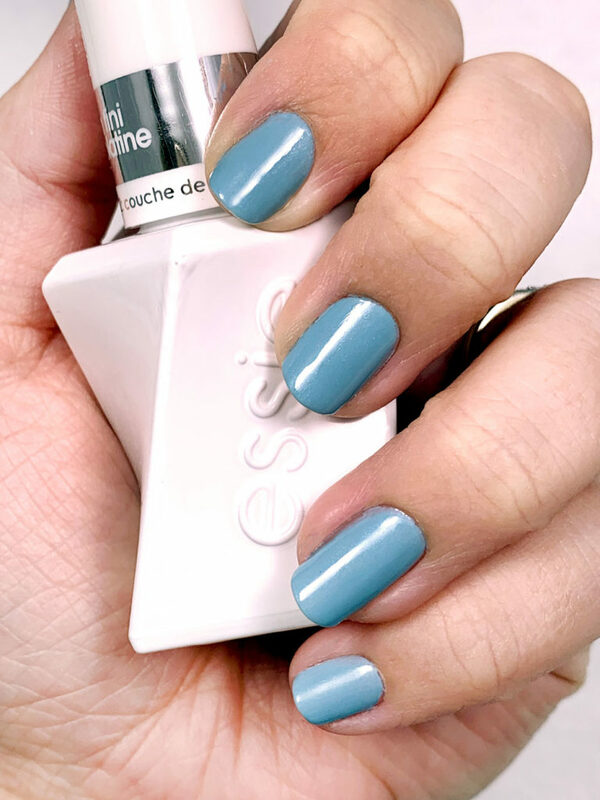 . .
Essie really is substantiating their nail polish empire for me with the gel-setter top coat, and, now, THIS line of polish. 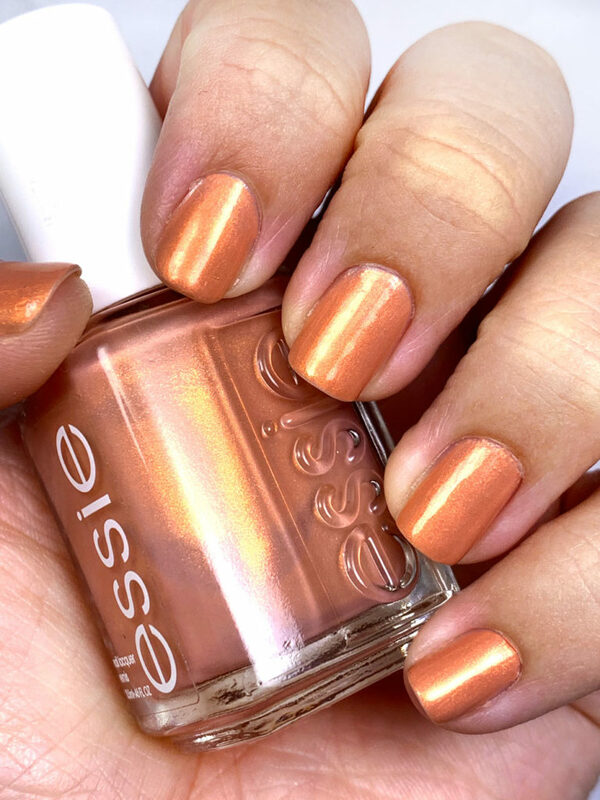 The “step-one” polish is very similar consistency-wise to any other Essie nail products you may have used before; a good, medium density provides nice coverage and color saturation with smooth shine. The “step-two” top coat is just a tad thicker, finishing your at-home manicure with a gel-like texture. The only negative thing about this polish is that the price-point is a bit higher than I would like. For that reason, I award this gel couture line with four-and-a-half out of five stars! Here’s another fun color, if you’d like to try it out! 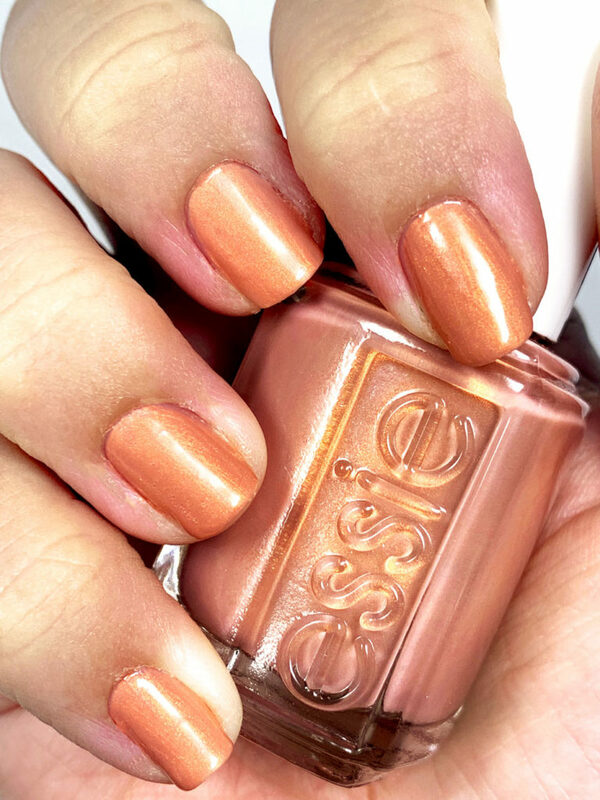 The Essie Gel-Setter Top Coat! 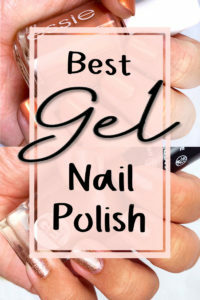 That small difference helped edge out the competition and solidify that the Gel-Setter Top Coat, taking ALL things into consideration, is the best on the market. 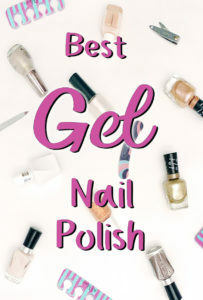 Despite the fact that gel nail polish is known to be healthier than acrylic nails, wearing any polish at all can damage your nails over time. You can check out my tips for keeping nails strong despite manicuring in the last section of my post here (this is my “nubs-to-nails”/”how I quit nail-biting” success story). Don’t forget to find me on Instagram so we can keep in touch! 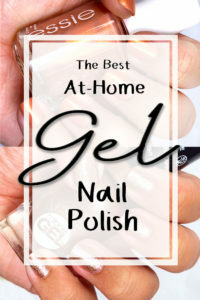 I’d love to see your at-home gel manicures – be sure to tag me! And, enter your email address below to receive notification of my next blog post like this one; you won’t want to miss it! P.S. Addicted To Love Pinterest like me? Pin one of these to save this for later; after all, sharing is caring!